ARE YOU READY TO VOICE YOUR BRILLIANCE? There’s a totally different and truly authentic way of presenting YOU to the world that allows you to make the difference that you desire! You’ll be thrilled to know changing this is not about programming yourself into being someone you’re not. 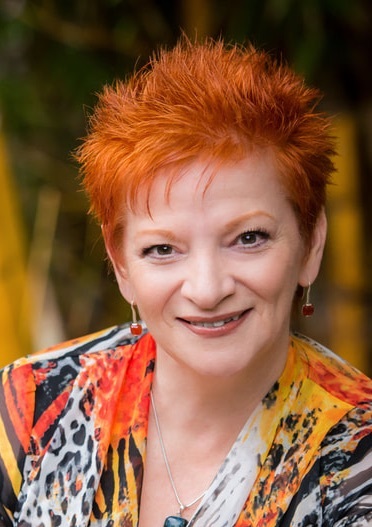 Using my capacities as a professional speaker, Matilda-award-winning theatre director, producer, actor, intuitive coach and creative catalyst, I love collaborating with people to help them lead, speak and transform through their Iconic Brilliance™. I could change their perception of their world, their worth, and their ability to share. Identify your degree of difference through an exploration of your Iconic Brilliance™. Learn the key skills to influence, inspire and engage any audience, and tap into your unique voice as a Leader. ​​Changing the world through the creation of inspirational and paradigm-shifting keynotes requires a creative vision, expert direction and masterful use of stagecraft and vocal presence. Find out how you can elevate and amplify your transformational message. ​or negativity associated with the idea of speaking in public? Do you have an Iconic message and story that is asking to be shared? Want to find out how? Simone de Haas is an outstanding speaker on leadership, communications and corporate storytelling. Her presentations to my CEO Institute groups of senior CEOs on leadership insights have been powerful, insightful, entertaining and highly engaging. Simone and I enjoy a mutually respectful relationship in the area of Public Speaking. Simone is one of those people who is commanding onstage. Her understanding of the craft of speaking in front of groups is world-class. Her techniques are brought from many years of stagecraft and are having a major impact in the corporate world. If you'd like to create impact in front of any audience, I'd have no hesitation in recommending Simone. SIMONE SPEAKS…on LEADERSHIP, COMMUNICATION & EXCEPTIONALITY.